Long Now is pleased to announce a new collaboration with the Center for Advanced Study in the Behavioral Sciences (CASBS) at Stanford University. Beginning in May, CASBS Fellows will appear regularly in our Conversations at The Interval series. The first two Fellows to speak will be D. Fox Harrell (MIT) on May 5, 02015 and Valentina Bosetti (Università Bocconi) on June 23. All upcoming Interval talks are listed here. For over sixty years the Center has been a national and international locus for transformative thinking and research on the most important issues in social science. Their residential fellowship program attracts the finest scholars from psychology, sociology, economics, political science, anthropology, history, philosophy, linguistics, and related disciplines. CASBS alumni include such renowned scholars as Kingsley Davis, Ruth Bader Ginsburg, and Wallace Stegner. CASBS Fellows have been recognized through the years with an impressive list of honors including 22 Nobel Prizes, 14 Pulitzers, 44 MacArthur Fellowships, and 20 National Book Awards, to mention only a few. Four previous Long Now SALT speakers have been Fellows at CASBS during their careers: Daniel Kahneman, Stephen Lansing, Paul Romer, and Philip Tetlock. Other notable alums include Henry Louis Gates Jr., Steven D. Levitt, Donald Norman, Norman Ornstein, and Edward Tufte. D. Fox Harrell‘s talk is entitled Coding Ourselves/Coding Others: Imagining Social Identities Through Computing. 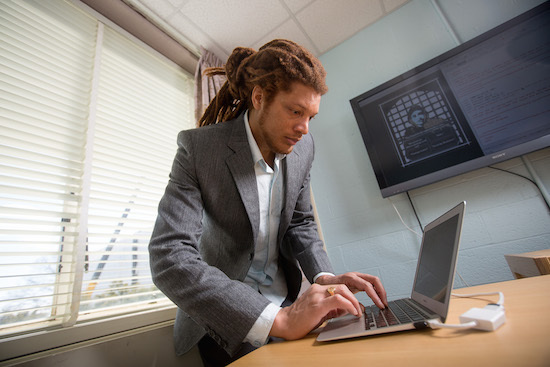 In his talk at The Interval on May 5 he will discuss his studies of social networking, gaming, and virtual worlds; he’ll show examples of systems developed by his research group that are designed to enable creative expression, cultural analysis, and social empowerment. Dr. Harrell is a tenured Associate Professor of Digital Media in the Comparative Media Studies Program and the Computer Science and Artificial Intelligence Laboratory at MIT. He founded and directs the MIT Imagination, Computation, and Expression Laboratory (ICE Lab). Valentina Bosetti speaks at The Interval on June 23, 02015. Her talk entitled “Life’s a Great Balancing Act” will include her work on climate change risk and uncertainty, how individuals perceive them, and how they affect the climate change policy making process. She was recently awarded a European Research Council grant with the objective of substantially advancing the way we conceptualize, model and frame climate change policy making under uncertainty. 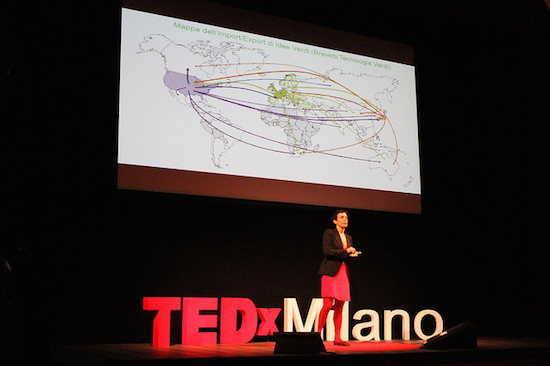 Dr. Bosetti is associate professor at Bocconi University where she teaches environmental and climate change economics. She was a lead author of the IPCC Fifth Assessment Report (AR5) about the state of scientific, technical and socio-economic knowledge on climate change. She is also a senior researcher at Fondazione Enrico Mattei and Euro-Mediterranean Center on Climate Change. In addition to talks by these and other CASBS Fellows, the Center’s director Margaret Levi will recommend a list of books for our Manual for Civilization. 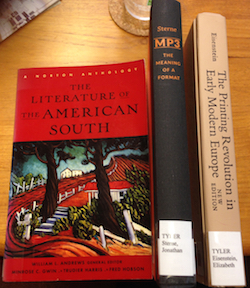 Her list will include selections from The Ralph W. Tyler Collection. 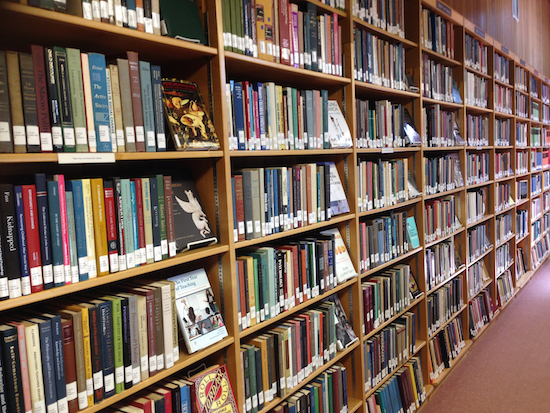 The collection contains over 1,800 books written by CASBS Fellows since the program began in 01954. 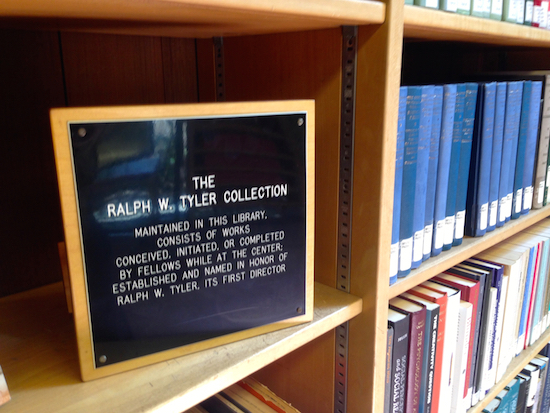 All the books in the collection were conceived, initiated or completed during the author’s fellowship. Tickets for Interval talks go on sale a few weeks beforehand. Long Now members and Interval donors always have the first chance to buy tickets for these events.